They might be Franklin heirloom dolls. I am not sure how old. They are second hand. I am not sure if that's their make, but stands for dolls both have Franklin stamped on them. 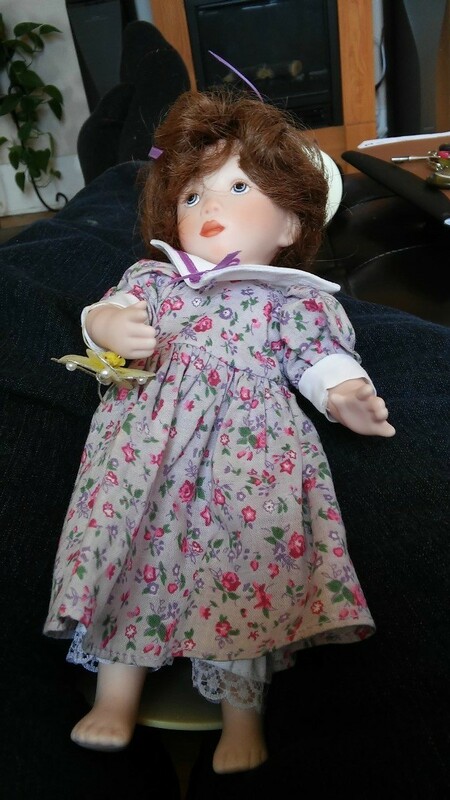 An easy online search for "porcelain doll values" will produce many answers. Keep in mind that just because a doll may be fancy, old, inherited, etc., it most probably has little value as most are mass produced in the thousands. 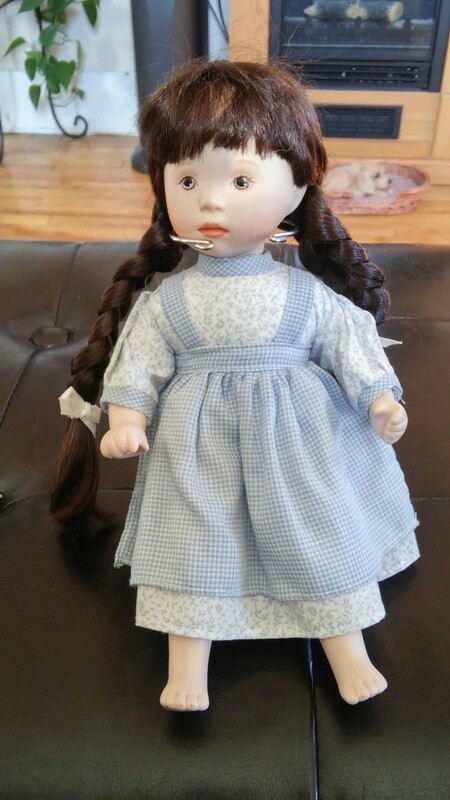 A doll's condition is extremely important in considering value-the best doll prices are paid for dolls literally never removed from their boxes. You can find prices for some dolls on EBay and try online for further research.